First impressions are everything. Within just a few seconds of meeting, people will judge and form an opinion of value, and that opinion will likely never change. You only get one chance at making a first impression, so it’s important to make it count. 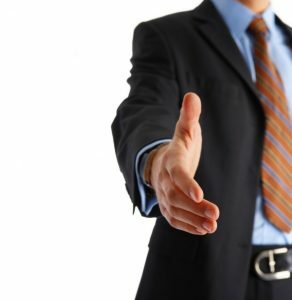 Here are five ways to ensure that you make a great first impression. Ready to get out in the job market and make a great impression? Call an experienced Denver employment agency by contacting Employment Solutions TODAY at (303) 455-4414! Body language is one of the most important and overlooked aspects of first impressions. From the way you angle your body to your posture and how you carry yourself will make an impression. Just being aware of your body language is often enough to facilitate positive changes. If you are in serious need of body language changes, consider watching a video of yourself walking to your room. Pay attention to subtle cues, like the position of your shoulders, which direction you point your feet, and the way you shake hands with someone. Intention can also be a powerful tool in making a good first impression, and can be an especially important practice before attending an event where you’ll meet a lot of people, such as networking events or conferences. Before the event or meeting, take a few moments to think about what type of interactions you want to have and the type of people that you want to meet. Setting intentions can be grounding, and will help you focus on the type of energy you want to bring to the event. It may seem trivial, but everything that you wear (including accessories) will make an impression on others. When making initial judgments, people will take into account the jewelry you wear, your clothing, the way you wear your makeup, the shoes you wear and a host of other things. To make a good impression, make sure that you’re appearance fits the type of message you want to send. When meeting people for the first time, they can tell right away whether you’re truly interested in meeting them and learning about who they are, or if you’re just itching to get out the door and go home. So if you want to make a good impression, you have to be genuinely interested in others, and be interesting yourself. Ask others about their work and life, and be open to sharing interesting stories about yourself as well. If you’re having a bad day, the last thing you want to do is attend an event or mixer in a miserable mood. Your mood will come through in your body language, facial expressions and the comments you make. Everyone has a bad day every now and then, but sometimes, it’s better to simply stay home than make a poor impression. If staying home is not an option, find a way to snap out of your bad mood before heading to the event or meeting. Ready to take your career to the next level? Call a Denver employment agency today at (303) 455-4414!